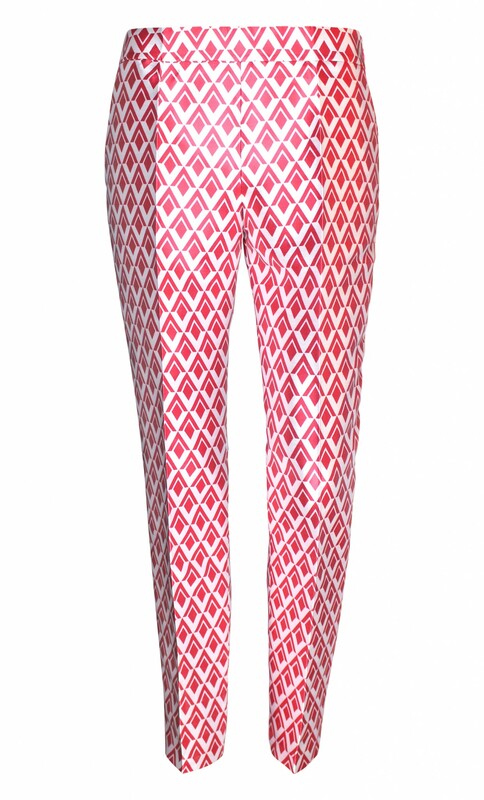 The straight-leg pants is woven from a shiny jacquard in a red and white graphic motif. Actress Amy Jackson was featured in "The 2016 Cannes Red Carpet`s Best-Dressed Celebrities" list by Vanity Fair magazine wearing this PLAKINGER pantsuit at Cannes Film Festival. Waistband, straight-leg cut, concealed hook and zip fastening at side, pleated, pressed creases, slant pockets. Handmade in Germany, fabric from Italy.